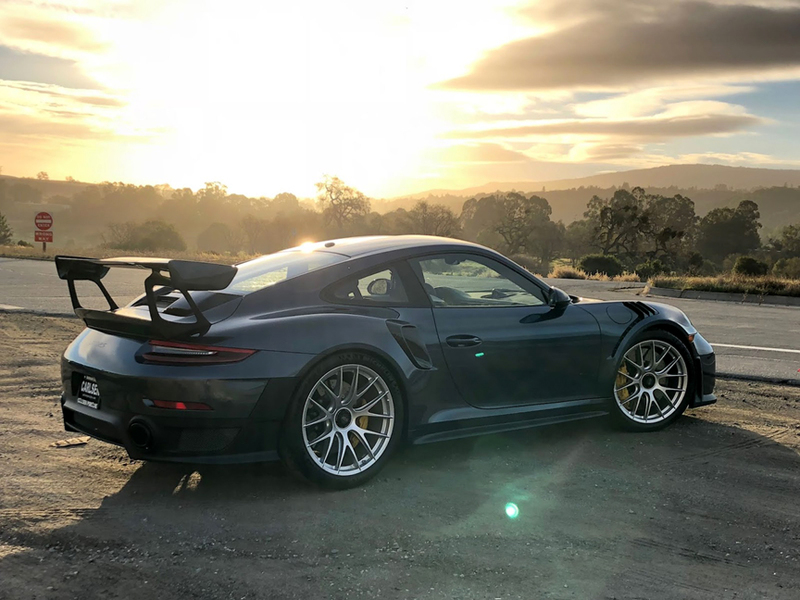 Porsche wowed the automotive world when the 911 based GTS RS was announced. Speculation about how they were going to top the prior generation 997 chassis GTS RS 620 horsepower was rampant. 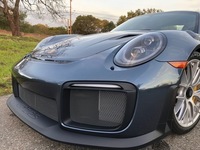 With the perceived competitors over 700hp, it turns out that is spot on, aided by distilled water spraying system to cool the intake charge temperatures. But then something else was announced; a factory effort Nurburgring time of 6:47.25 with the Weissach option equipped car. And wow, everyone was blown away, a production street car record time that was held for nearly a year, only beaten by a Lamborghini with more horsepower and active aerodynamics. This particular model is in Yachting Blue which helps with the intention to blend in, yet is a pinnacle of road car achievement by Porsche. It's exterior design is purposeful and very familiar, which has both positive and negative comments among the ever-opinionated internet. Is it timeless or simply derivative? No matter, despite a road car, it is stiffly sprung and the ride has that subtle high frequency jostle that stiffly sprung street cars have. However, there's no crashing, thuds or shakes. The owner says it's not road trip worthy and "kinda loud." The exhaust button opens the flaps which can be seen kneeling behind the car, producing a more throaty sound. Personally I thought the road noise was quieter than a 997 Porsche Twin Turbo. Guess it depends on the circumstances. Having had Dodge Viper ACR, the owner made the comparison to be similar in noise, vibration and harshness. Yet overall would compare it to the Ferrari 458 Speciale in execution, but not as road trip worthy. The seats are firm but upright and not terribly adjustable with lateral support being very purposeful. 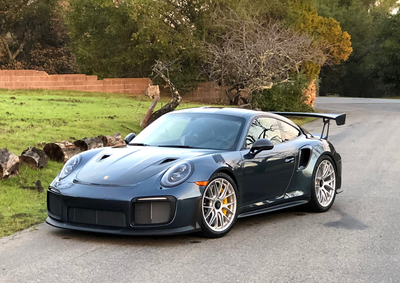 One realizes immediately they are perfect for a track day, not a multi-hour trip to the weekend getaway. However with the back seat removed, there is a surprising amount of space behind the passenger seats. Typical Porsche quality and design is throughout the cabin. That weight saving door pull strap? It also activates the latch mechanism. 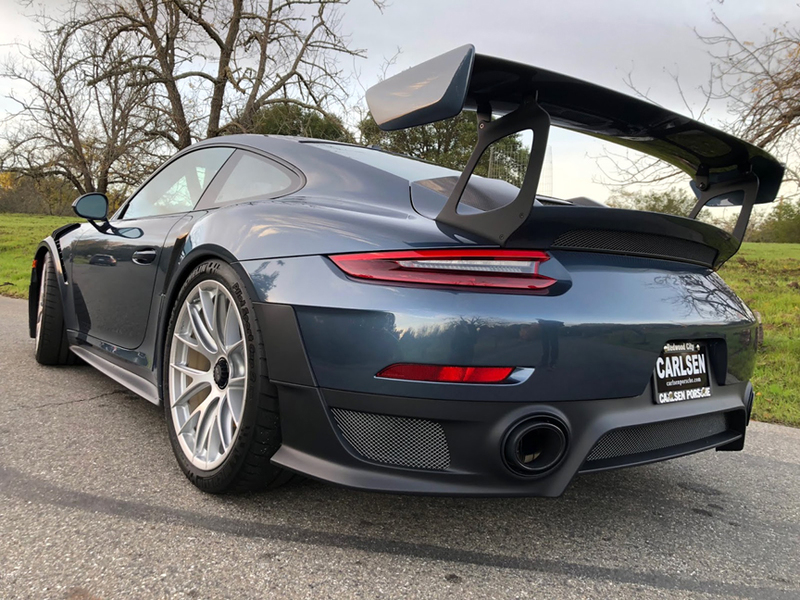 This model is equipped with the optional Weissach package which includes an exposed carbon fiber roof and front lip with painted decorative stripes. 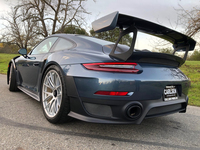 Porsche logo on the exposed carbon fiber rear wing on the exterior. The interior steering wheel trim and gearshift (the dual clutch PDK is the only transmission available), and some logos. No roll bar, steel nor optional titanium is available factory installed in the US. The chassis changes are anti-roll bars and end links in carbon fiber which saves 11.7 lbs and a magnesium wheel option which saves 25.3 lbs. These are the most significant weight savings of the Weissach package. 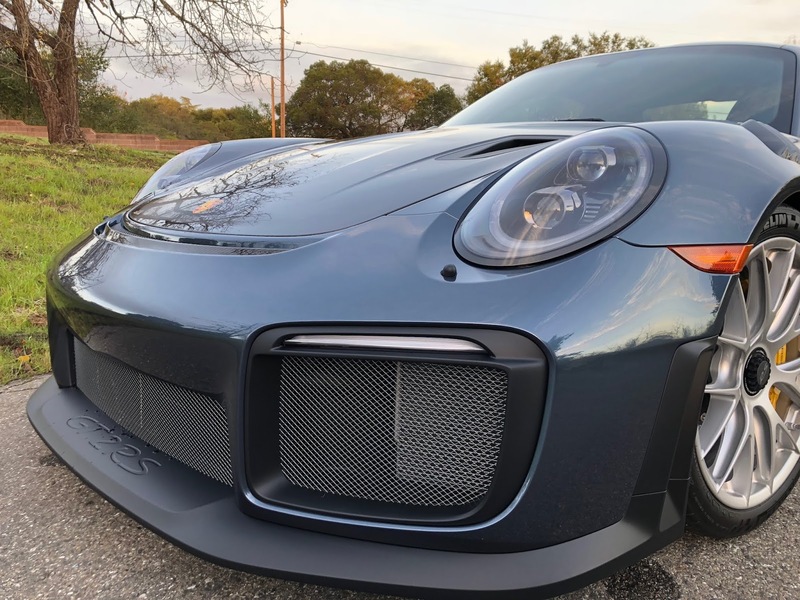 Standard on the GT2 RS is a track oriented upgrade of suspension ball joints instead of bushings. Ride height, camber, caster, and toe are all adjustable for those wanting to optimize tire wear and streetability. Just kidding. Tire wear is really so much an issue when the MSRP is about $345,000. So how quick is it? Giggle inducing at part throttle. This one wasn't quite broken in yet, but a quick scan of various instrumented tests shows a 0-60 mph time of 2.5 and another test of 2.6 seconds, the best of rear-wheel drive production cars. The quarter mile time of 10.3 seconds and trap speeds from 137 to 139mph were also recorded. Although the McLaren 720S is quicker and faster, it's definitively not on the road circuit. Hitting the on-ramps and off-ramps, it exhibited no body roll and the owner reported a prior data performance recorder lateral-g reading of 1.46. Simply outrageous! So are it's lap records at Laguna Seca and Willow Springs, beating the factory efforts of the Viper ACR. No doubt with a pro driver it could also take the Virginia International Raceway record as well. 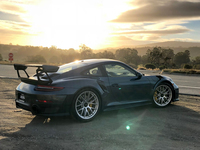 Regardless of specific "N2" compound tires, there's no denying the capability of a seven hundred horsepower Porsche designed with and equipped with racetrack proven equipment that laps significantly more quickly than competitors with more horsepower. Apparently there is no substitute right now unless you need to spend less or go quicker, but just in a straight line.